Lend your little girl a cute look by making her wear this dress presented to you by The Children Place. It has been made from good quality fabric that makes it convenient to wear. Moreover, the shimmer pattern is accentuated by a nice color combination. Besides, it has a round neck and short sleeves that adds to its design. 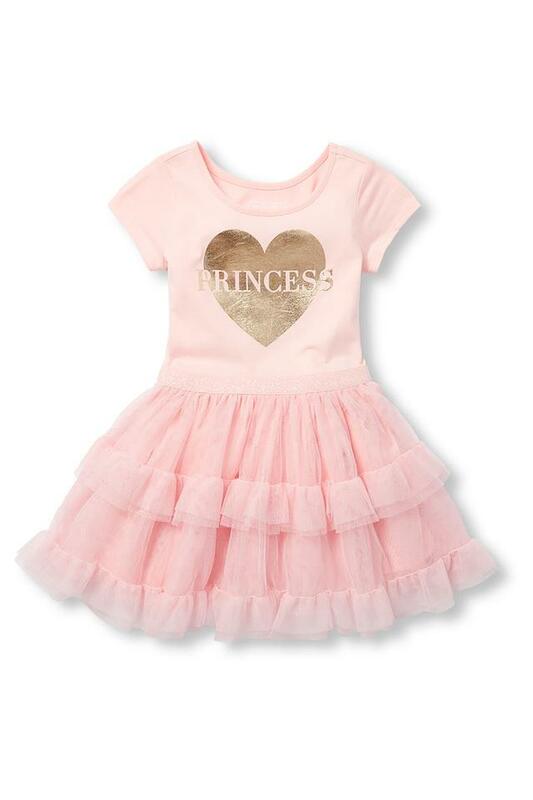 Add a dose of style to the clothing collection of your little one by including this dress that flaunts a shimmer pattern. Perfect for a party, it will look good with a pair of pump shoes.